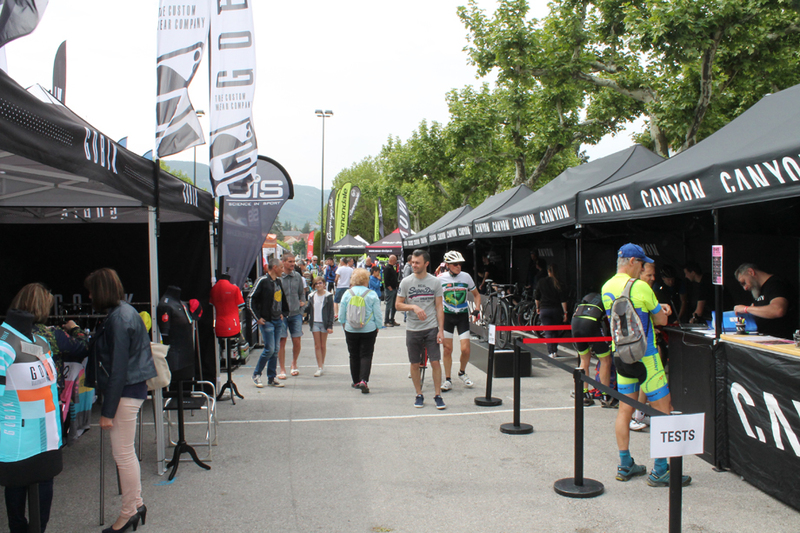 PezCycling News - What's Cool In Road Cycling : Euro Cycle Festival 2018 – Sun, Bikes, A Race And Snow? 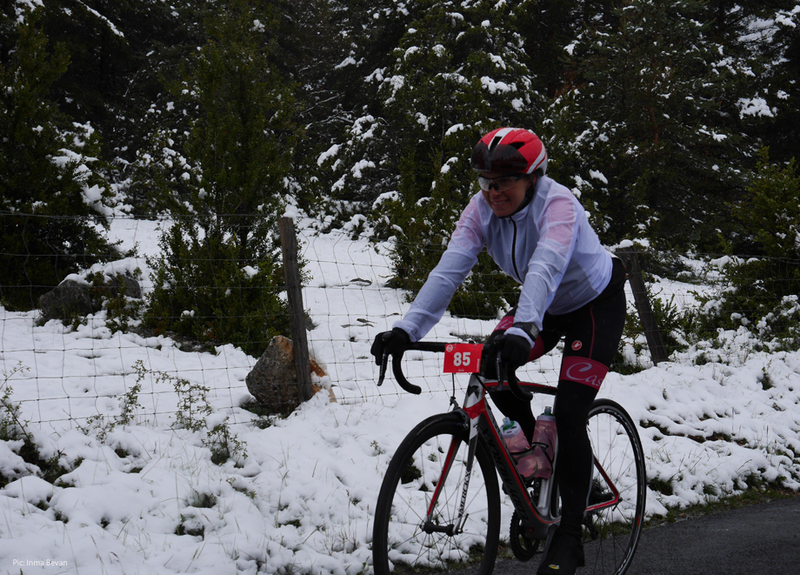 Euro Cycle Festival 2018 – Sun, Bikes, A Race And Snow? 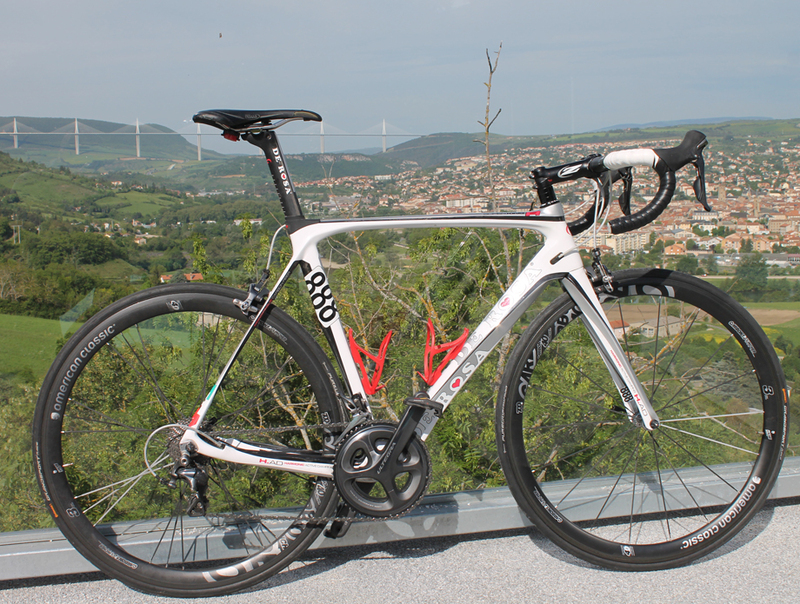 My bike with the famous Millau viaduct in the background. At least my bike was ready for the race...me, not so much. I first heard about the Euro Cycle Festival at Christmas time last year and thought like it sounded like a great event and a perfect goal for me to get back into fitness. As I wrote about in my preview, perhaps my form wasn't where I wanted it to be but the festival isn't just about the main event of the 150km mountainous cyclosportive so I was sure to have a good time whatever happened. 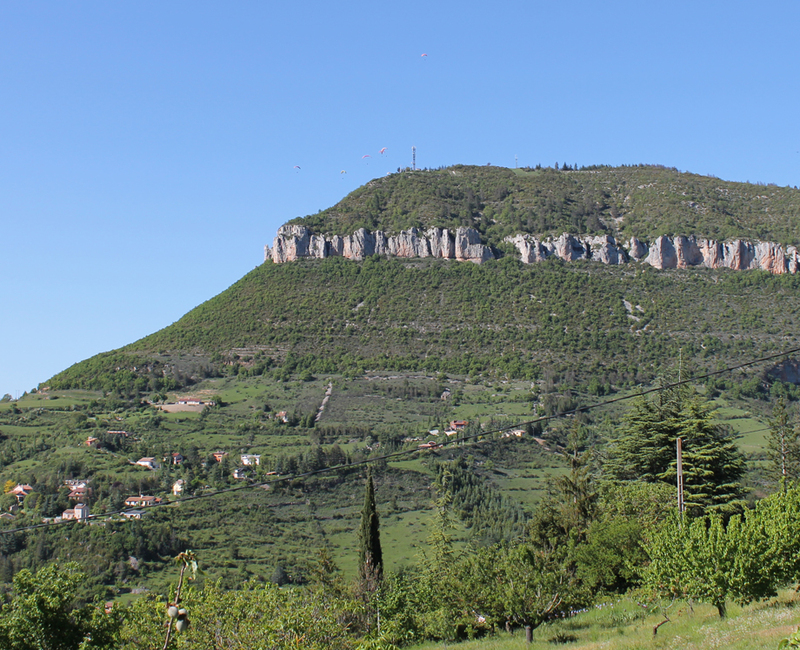 First up a word on the location - Millau in the Averyon region of the South of France. This is simply just a cool place to visit if you're a cyclist as it is surrounded by challenging climbs (sometimes a bit too challenging! ), great roads through the valleys and some simply amazing scenery. Driving down the descent to Millau you immediately get the feeling of what the riding is going to be like - hilly, yet spectacular! 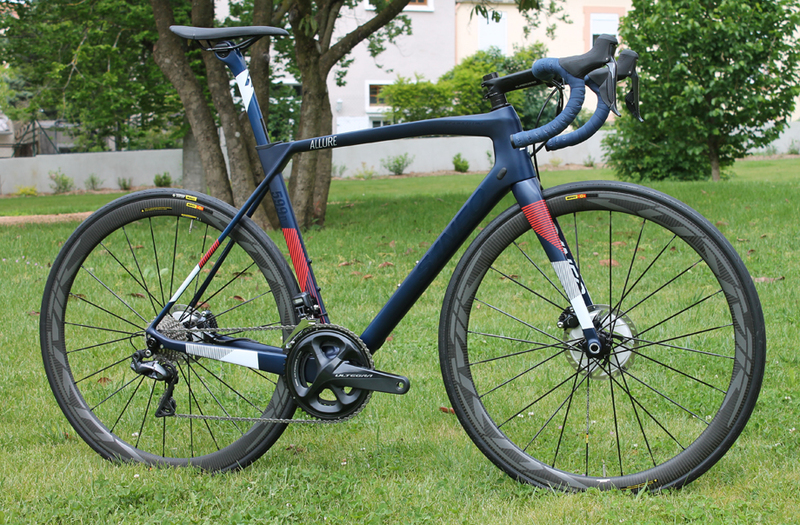 The Tour de France has passed through, started at, or finished at Millau many times in its history including this years Tour when Stage 15 will start there before going over the never before used in Le Tour climb of the Pic de Nore that I previewed earlier this year for Pez. Boasting a population of 22,000 the city was taken over for the weekend by 1000 cyclists, organisers, volunteers and more as the main park in the city became the heart of the festival with its bike show. Not just a normal, 'look but don't touch' show the festival's show was actually all about getting out and testing the material with entrants in the cyclosportive able to take out new model bikes from a range of manufacturers like Cannondale, Look, Canyon, Giant and more including one or two boutique brands with France's S1neo in particular catching my eye. 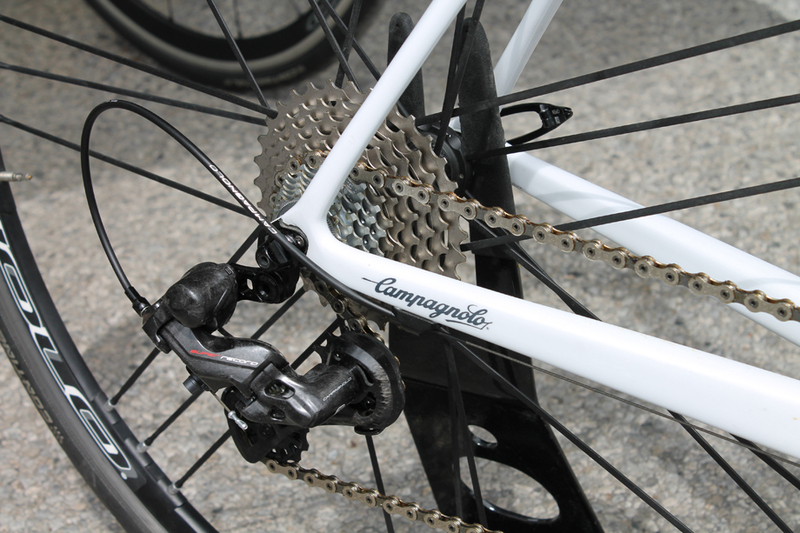 Campagnolo were also on hand at the show with their new 12 speed gruppo. 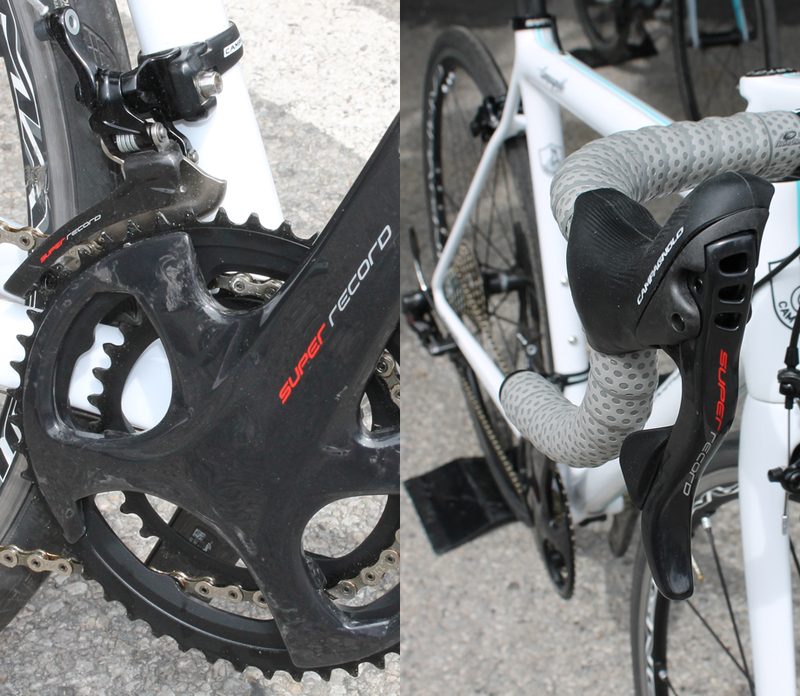 Exactly double of what I started racing with 25 years ago... Read the PEZ Review of the new Campy 12-speed here. Deciding to save what little form I had for the race the next day I passed on the chance of doing the gravel ride proposed or the uphill time trial up the famous Pouncho climb where the paragliders jump from on a regular basis. I instead decided to do just the first urban kilometer of this tough climb to take a photo of somebody else braver than I. A local rider takes on the lower slopes of the Pouncho climb, 6.5km @ 6.9% with the record set by Ag2r's Alexandre Geniez in 21m55s. 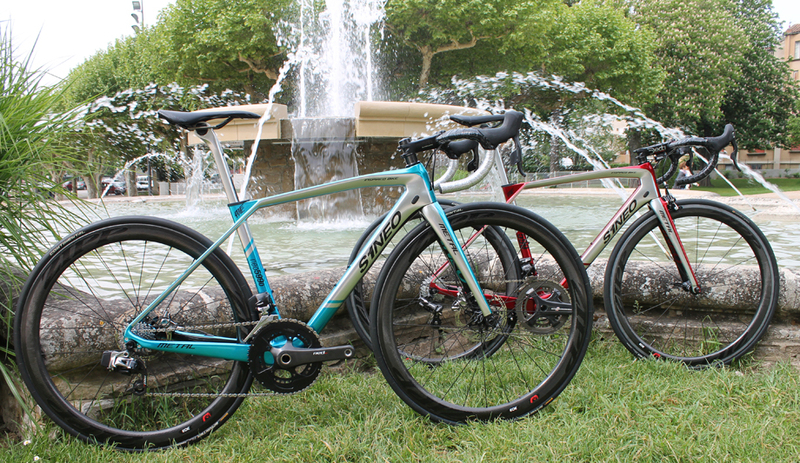 A record that was beaten during the festival by local triathlete Simon Dubocage in 21m28s. 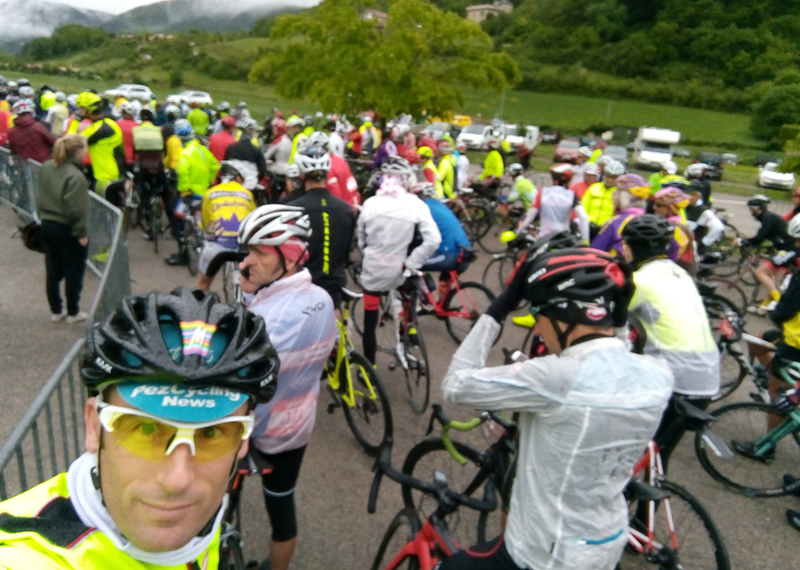 After enjoying a couple of days of discovering new products, the beautiful town and region of Millau and chatting to local and visiting cyclists alike it was time to get down to the real reason I'd come to Millau, the 150km Ronde des Causses Cyclosportive. Unfortunately the weather was not at all like it had been in the days previous - in fact it was terrible. 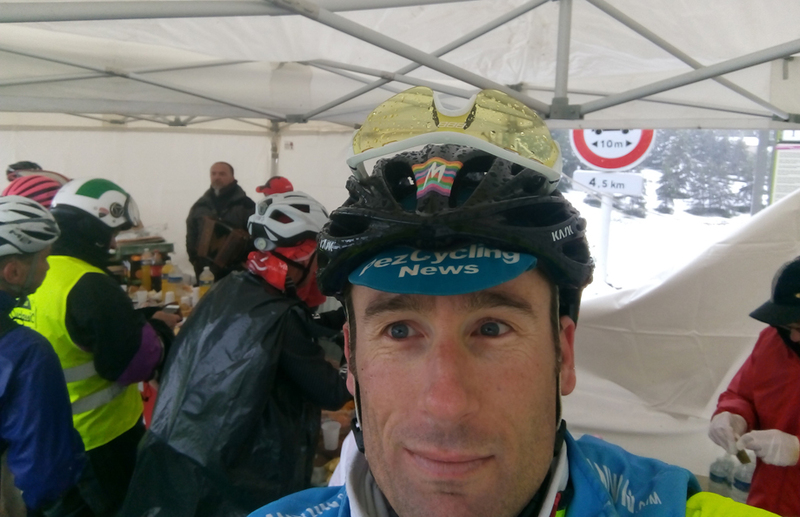 Me on the startline in about 5° Celsius and light rain. The best weather I would see all day! 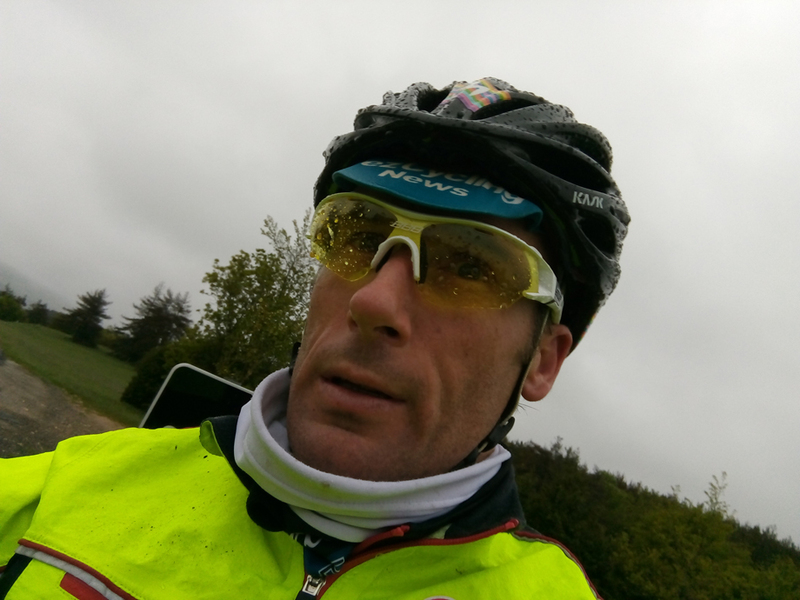 With simply terrible, unseasonally cold and wet conditions predicted the brave (or stupid as my wife called me) cyclists on the startline were much fewer than expected. The organisers wisely decided to shorten the circuit by taking out one of the climbs but we were still looking at 130km of riding in freezing conditions. 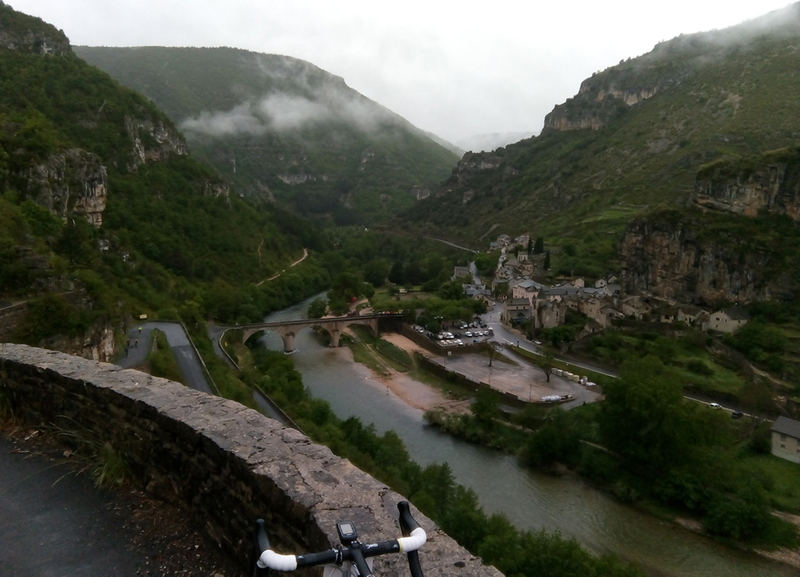 Having battled the heat and sun in recent weeks in my region just an hour south of Millau I hadn't packed all my winter gear and I was about to find out, my lack of serious wet weather and winter clothing would cost me dearly. The rollout was a leisurely affair and despite the rain and cold I was able to admire the scenery in the valley as we cruised along at a comfortable speed and also appreciate the organisation that had gone into the race. 100% closed roads! Officials at every intersection, motorcycle signalmen to ensure the safety, gendarmes to keep the road closed and an army of volunteers - and they were all out in the cold and absolutely freezing conditions. Chapeau guys, thanks. Not being a climber these days I don't normally look forward to climbing mountains but this race was an exception - I wanted to go uphill so that I could warm up a little, so when the first climb rolled around after 20km the almost 9 km climb was a welcome relief. My legs weren't turning quite as they normally do though and I was quickly dropped but I was happy to be slightly warmer and found myself in a good group of riders. Although we climbed up to only 900m altitude the temperature dropped again significantly and with the rain and sleet combining with a wicked northerly wind my hands started to tell me to stop. Which I could have done if my hands worked well enough to activate the brakes! After jumping up and down on the spot and with much shaking of my arms I managed to get some feeling back in the hands and set off again. This would be a theme of the day, LONG stops to try and warm back up where I couldn't do anything as my fingers just simply didn't work. With more than 25+ years of racing and riding under my belt I can state that I have NEVER been so cold on the bike in my life! I spent 25 minutes at this particular food stop hiding from the snow that was falling and sipping numerous hot teas. The views all day long were amazing - despite the weather, I just couldn't operate the camera to show them to you! I did stop here during this cool switchback climb of the Cote de la Malene for 20 minutes though to try and warm up and eventually was able to take this pic. 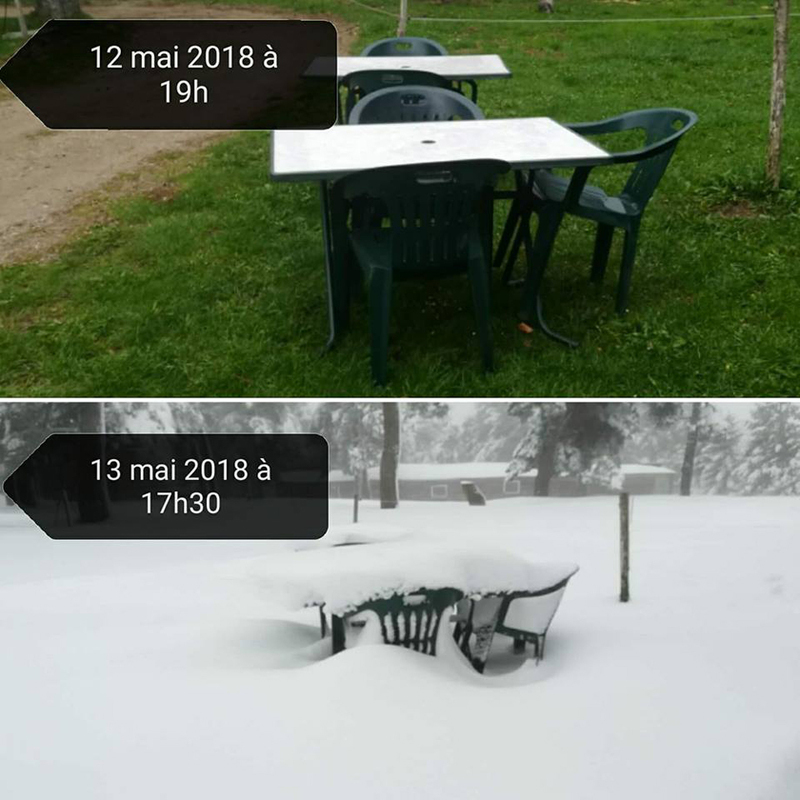 These photos from the local weather service at a higher altitude show the difference in conditions from Saturday to Sunday! ......or snowy during the race. Despite the weather there were still smiles out there - or were they grimaces? Hopefully the atrocious weather has not put the organisers and competitors off from this event as it was unfortunately one of those 'once in a blue moon' type weather events and it was such a shame that it fell on race day. 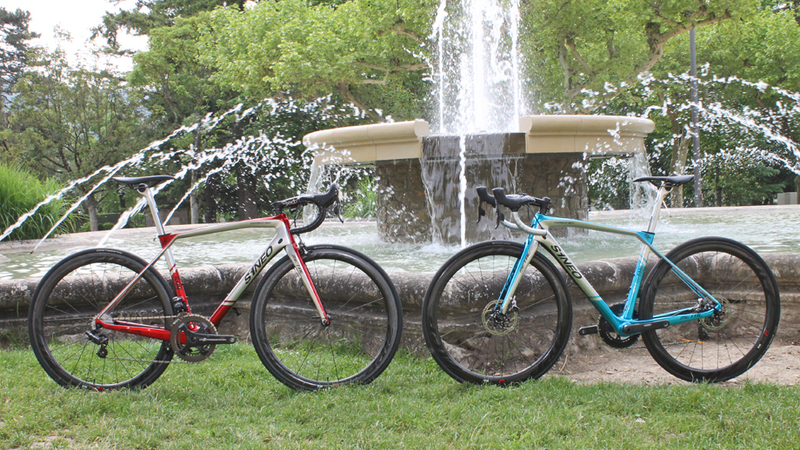 The organisation, the scenery and the roads were simply first class and the Euro Cycle Festival deserves to be one of the biggest cycling events in France. I'm sure that those of us that survived the very first one this past Sunday will be able to look back at it and laugh in years to come as the event hopefully gets bigger and bigger. If you want to come to France and do a cyclosportive next year in an amazing area with super organisation on closed roads and have the added fun of a test day and/or gravel ride and/or hillclimb time trial thrown in, then definitely check out the EuroCycleFestival. I'll certainly be back. Chris Selden is an Aussie, ex-racer who has raced and ridden all over the world and has been writing for Pez for the last 15 years. You can follow his adventures on his Instagram page, find out more about his rental place in the South of France here or contact him directly at [email protected] if you would like to feature in Readers' Rigs, My Favorite Climb or more.